Let me start off by saying this is hands down one of my favorite weddings I have ever done. I'm sure most couples remember their #BestDayEver like it was yesterday. I remember this wedding like it was yesterday! 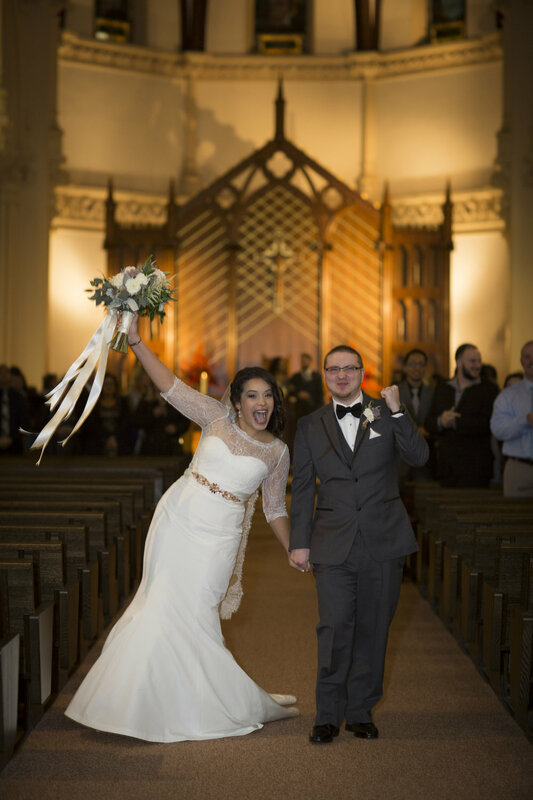 It was my last wedding I had booked for 2015 and I was so excited for it. Years ago I met Jeiny and Chris through a good friend. I got the chance to know the couple and see their true love in person. I am such a sucker for love! Since the beginning of time, Jeiny has been the ultimate Russo Fab super fan (thank you!) and I was beyond thrilled when she asked me to do the florals for their wedding. Jeiny envisioned a romantic, rustic theme for her big day. Peonies, succulents, ranunculus, astilbe, astrantia with an assortment of greens were the flowers used throughout the wedding. Notice that no detail was overlooked for this rustic wedding. From her dress to the burlap table runners- Jeiny & Chris's wedding set the bar when it comes to this popular theme. I want to thank Jennifer Lopez Photography for letting me share these beautiful photos with you all! She really captured the day perfectly. "Before I was even engaged I had already envisioned Ms. Russo as my florist. I had been following her religiously on Instagram and each floral arrangement; each bouquet she would post would make my heart swoon. Within seconds I would like the photo and comment on how mesmerizing her arrangements were. I knew I had to have her as my florist for my big day! Stephanie was an absolute dream to work with. When I met her to go over everything, I had walked in with my iPad opened to my Pinterest wedding board, and a head swirling with ideas. I was able to tell and show her everything I had dreamed of and she listened. Not only did she execute and bring my ideas to life, she gave me genuine feedback and advice to making everything perfect. 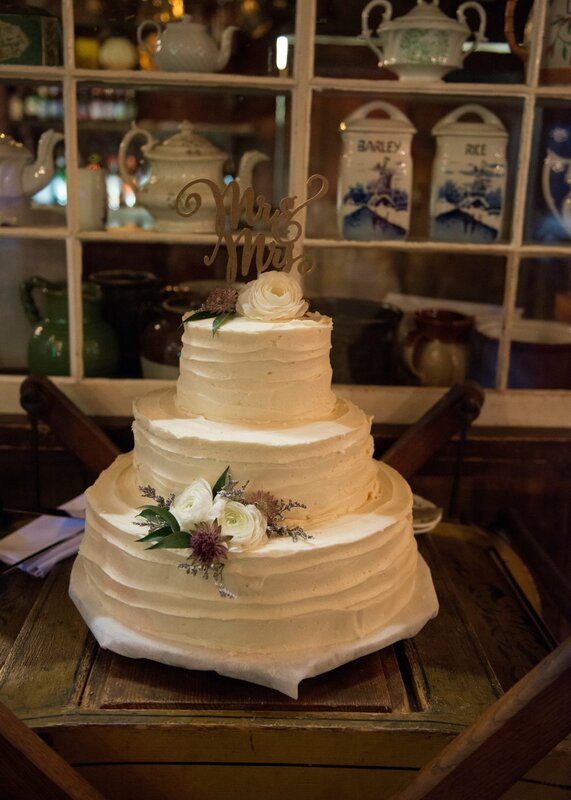 She tailored everything to match our rustic/barn theme perfectly. She placed flowers and succulents on our wedding cake and had rose gold babies breathes for the bridal party hair. The bouquets and boutonnieres were absolutely stunning along with our centerpieces. We got so many compliments throughout the night (even still today) from our guests and the venue hosts. Her professionalism is 5 stars. She is beyond personable, sweet, and friendly. Stephanie is organized and is super easy to communicate with. We had to switch some things around and she was so flexible and understanding. I could not picture my big day without her. She was so supportive, so thoughtful, and just overall an absolute treasure to work with." This is rustic romance done the right way. I want to thank my #RussoFab bride Jeiny for letting me show her off and for the sweet comments! Thank you again to Jennifer Lopez Photography for letting me show off her great work! It's a dreary morning over here in Boston but I hope this makes you feel all warm and sunny.